Due to lack of decent job with adequate salary in the Philippines, its citizens resort to applying for jobs abroad, adding numbers to estimated 10 million Overseas Filipino Workers (OFWs) scattered throughout the globe. And how would they manage to pay their loans and mortgages if their earnings barely meet their daily needs? Some people even if they had the luck of finding local jobs still apply for overseas job because their salary is simply not enough to cover their financial needs. As President Rodrigo Duterte's promise to end the generation of OFWs, government efforts in generating job opportunities and skills training for entrepreneurship might hopefully entice OFWs to come back home for good. 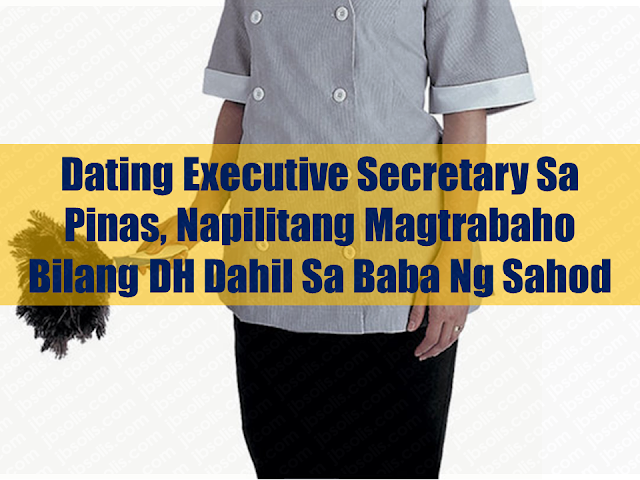 Mary was an executive secretary back in the Philippines. Because her salary was not enough to support her kids. Mary is a single parent. As a result she applied to be a domestic worker in Hong Kong in 1985 in search for a better income. that's where she experienced homesickness. Not a single day that she sit on the table to dine, that her tears won't flow out of a great longing for her children. It made even worse when her boss told her that she cannot go home for two years as stated in her contract. Her daily work begin as early as 6AM. It is too difficult for her to find strength in the midst of such situation but Mary managed herself to be strong. Mary's story is not so different from millions of overseas Filipino workers deployed throughout the world in quest for the best possible future that they can give to their families back home. 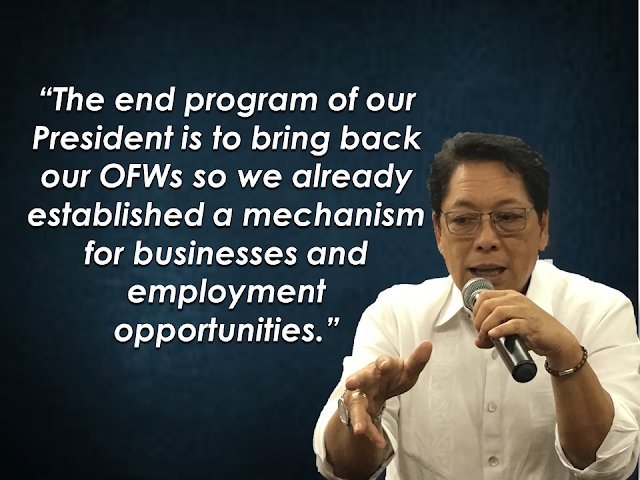 President Rodrigo Duterte's aim is to end the generation of OFWs with the help of DOLE, POEA, OWWA, and other concerned government agencies. 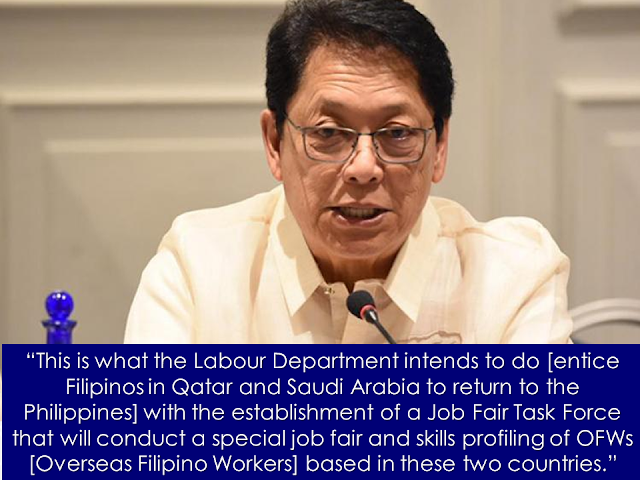 DOLE Secretary Silvestre Bello III reiterated that in line with the president's dream, his agency is currently persuading OFWs to come home and work locally or put up a business in the Philippines.